A Selma, Alabama, factory worker who was fired, sued and slapped with a restraining order after leading a protest march is in court Wednesday to demand she be allowed to continue her fight for safer working conditions at the auto parts plant. “I feel like I’m being punished for speaking up,” Kimberly King, 50, told NBC on March 17th, the day after she was fired. Lear Corporation, a leading global auto parts manufacturer, says King lied about workplace exposure to toxins and about a federal safety and health investigation in a letter she delivered earlier this month to Hyundai. But an investigation by the federal Occupational Safety and Health Administration (OSHA) found workers were not adequately protected from exposure to chemicals. And Yale University medical researchers who tested workers’ blood say their analysis shows a high likelihood those workers were made sick working at the plant. 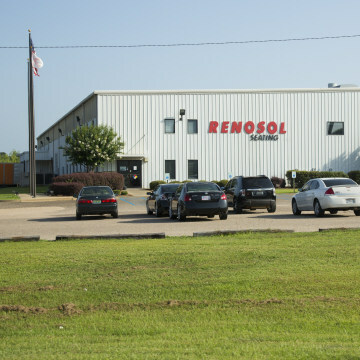 Lear’s Renosol plant in Selma, which employs over 80 people on an assembly line, uses chemicals called isocyanates to make the foam seats it manufactures for Hyundai, its sole customer. 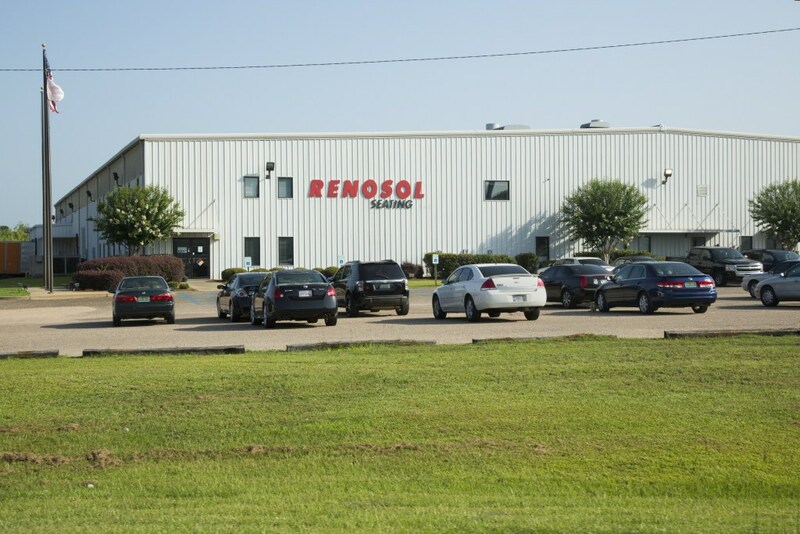 In July, NBC News published an investigation that included allegations by King and eleven other current and former workers that they’d been made sick while working in the Renosol plant. At the time, NBC reported exclusively that doctors at a specialty medical clinic at Yale University had agreed to test blood antibodies for exposure to the isocyanate TDI that could be related to respiratory conditions. Four of the six people who initially provided samples to the clinic tested positive for TDI sensitization that would be consistent with related asthma or other respiratory illness, Adam Wiznewski, a Yale research scientist, told NBC. One more tested positive for trace levels of exposure. Since the NBC story was published, Wiznewski said one more worker sent a blood sample that tested positive for high levels of exposure. About a dozen other samples have tested negative, he said. “Even finding a couple workers who have been sensitized is cause for concern,” Wiznewski said. The United Auto Workers, which is behind a union drive in the plant, was not involved with the testing by the Yale clinic, Wiznewski said. A pro-union worker helped distribute Yale’s test kits to coworkers. Some of those who were tested and others who complained of illness to NBC were undecided about whether to back a union. Months after Yale concluded testing the samples, the UAW invited Wiznewski to Selma, and paid for his plane ticket, so that he could speak on a panel about the findings of his tests. Workers at the plant have complained of unsafe conditions for years. In the midst of the union drive, those complaints have intensified, and on March 5th, two days before President Barack Obama spoke in Selma to commemorate the 50th anniversary of the historic civil rights march there, King and other factory workers attempted to deliver a letter to the Hyundai headquarters in Montgomery demanding the company hold its contractor responsible for safety issues. When King arrived at work the following Monday, Lear suspended her without pay and asked her to sign a statement admitting she had lied. When King returned to work and refused to sign the statement, Lear fired her. “Unfortunately, she went on to the private property of our customer, without authorization, and delivered a letter that contained statements Ms. King knew to be false,” company Senior Vice President Mel Stephens told NBC by email. Lear pursued a temporary restraining order and a defamation suit against King claiming that her statements threatened to harm Lear by jeopardizing its relationship with Hyundai. On Wednesday, King, who has declined to speak to NBC since the restraining order was imposed, appeared in court to ask that the gag be lifted. Lear argues that King has misrepresented the OSHA report, saying that the agency never cited the plant “for airborne or any other kind of TDI exposure to any employee at any time.” Company vice president Mel Stephens added that OSHA tested the air in the factory in 2014 and found TDI levels were within legal limits. The company also contracted its own tests, which found that levels of TDI were under industry and OSHA guidelines. OSHA’s investigation, which conducted air tests in the factory on three different days, did not find that air levels were above the legal limit at the time of testing. Nor did the investigation issue a citation against the company for exposing any particular worker to TDI. But OSHA did find that the company had failed to report three incidents of work-related illness, including asthma. Lear told NBC that the company was not aware of any complaints. OSHA did not test the plant for potential exposure to TDI by touching the chemicals. But the OSHA investigation issued two “serious” citations against Renosol for failing to provide appropriate protective equipment, namely protective gloves, to workers who touch recently formed foam products. “Because [workers] were not provided needed personal protective equipment to prevent contact with chemicals that could get onto the skin and enter through pores, it could cause sensitization,” D’Aquino told NBC in November. Lear’s Mel Stevens told NBC that “there is no contact hazard from touching foam seat cushions.” Nonetheless, he said, gloves were always available to workers who wished to use them. Following the OSHA investigation, Stephens said, gloves are now mandatory.